The directors of the Netflix documentary "Two Catalonias" said they returned a German film award on Tuesday that was handed to them by the former Catalan president Carles Puigdemont, arguing that his delivery was politicised and "not neutral". The film, made by Alvaro Longoria and Gerardo Olivares, recounts the crisis sparked by the region's bid for independence in October 2017. 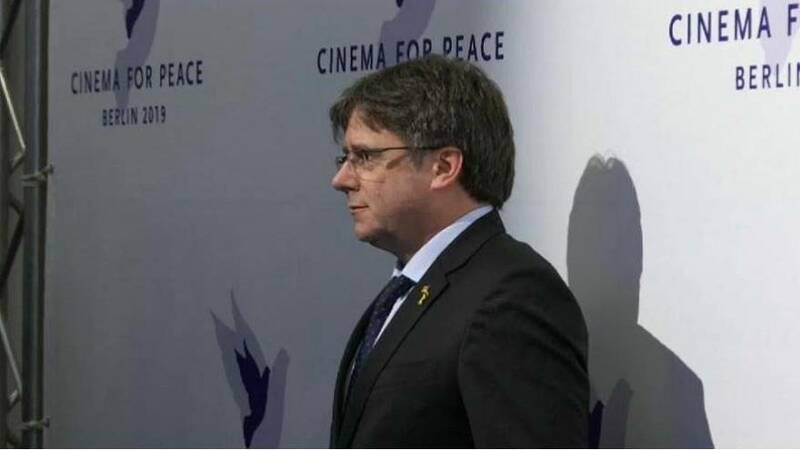 It won the Cinema for Peace Foundation award at a gala event in Berlin on Monday, where Puigdemont was present. The former Catalan leader made a speech against a Supreme Court trial, which began on Tuesday of 12 Catalan independence leaders involved in the secession attempt. "It became a political meeting that we did not want to be part of," said Longoria. Longoria's fellow filmmaker Olivares opted not to show up to the ceremony, knowing that Puigdemont would be in attendance. Longoria had agreed to attend after the organisers assured him that "it would not be politicised" and that Puigdemont would only give the prize. "It seemed to us that this did not represent the spirit of the documentary, based on neutrality and that it failed our professional ethics, we do not want to be a tool of information manipulation," Longoria said.